MOSCOW, October 26. /TASS/. Vakhtang Vachnadze, a Soviet and Russian space engineer who headed the project to build the Buran space shuttle orbiter, has died at the age of 89, the Roscosmos state corporation said late on Thursday. "On October 25, Vakhtang Dmitrievich Vachnadze passed away. He was a designer directly involved in setting up production and developing the manufacturing processes for our country's first long-range ballistic missiles and launch vehicles; first unmanned spacecraft and satellites; space systems under the manned Vostok, Voskhod and Soyuz missions; the L1 and N1-L3 lunar programs; the Salyut and Mir orbital station programs; rocket upper stages Block D and DM; and the Progress cargo spacecraft. He was also in charge of work to develop the reusable space system Energia-Buran," Roscosmos said in a statement. Vachnadze was born on June 20, 1929, at Bobruisk (now Belarus) and graduated from the Moscow Aviation Institute in 1953. Between 1977 and 1991 he served as the general director of NPO Energia (Kaliningrad, Moscow region). Since 1992, he remained a scientific consultant of the Korolyov-based Rocket and Space Corporation (RSC) Energia. The creation of the Energiya rocket and the Buran space shuttle became the most impressive program in the history of domestic space rocket-making, with the annual financing volume reaching 1.3 billion rubles by 1985. The first launch of the Energiya rocket took place on May 15, 1987 at the Baikonur space center. The Energiya became the first Soviet rocket that used hydrogen in the rocket’s main stage. The Energiya was also the most powerful of domestic rockets, capable of putting into orbit the payload of up to 100 tonnes. Buran was designed to perform up to 100 flights and take a crew of up to 10 people into space. The Buran project involved 1,206 enterprises from all across the Soviet Union. The program was closed in 1993. 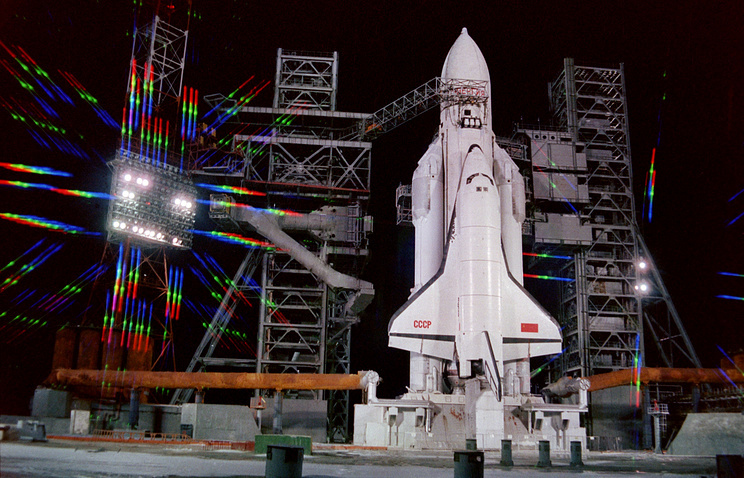 The first and only launch of Buran took place on November 15, in the unmanned mode. It was also the second and the last launch of the Energiya rocket.